Sunglasses is the spring summer’s hottest accessory that’s why I am sharing a post about latest 2017 sunglasses trends for women-best sunglasses brands. Wearing a sunglasses not only looks cool but also add a touch of glam to you outfit. Besides adding glamour it serves more important function of protecting your eyes from ultra violet rays coming from sun this means in order to save eyes one should wear sunglasses all the year but in summer intensity of UV rays triples so always wear sunglasses when you are out in summer. When it comes to choosing a goggle it is a difficult task but if you know about your face shape you can easily select a pair of sunnies. If your face is oval you can wear any shape of glasses, rectangular sunnies suits best on round face, and if your face is heart shaped go for oversized shades. After knowing your face shape which brand to purchase is also a difficult task so here I am listing some famous sunglasses brands. 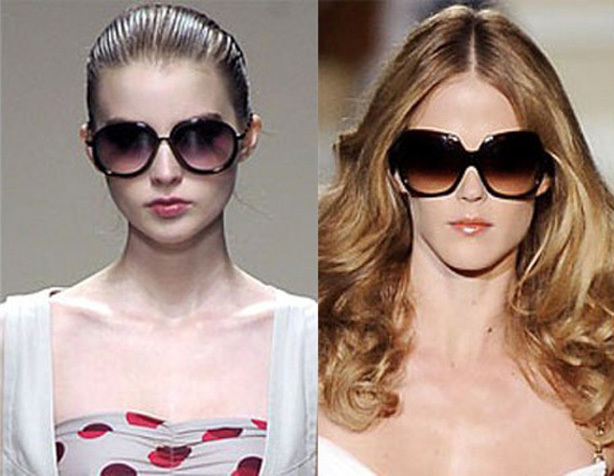 Here you can see some chic ladies and buy a perfect sunglasses that suits your face shape. You can buy circular, oversized, decorated, geometric, cat eyed glasses but by keeping in view your face shape.